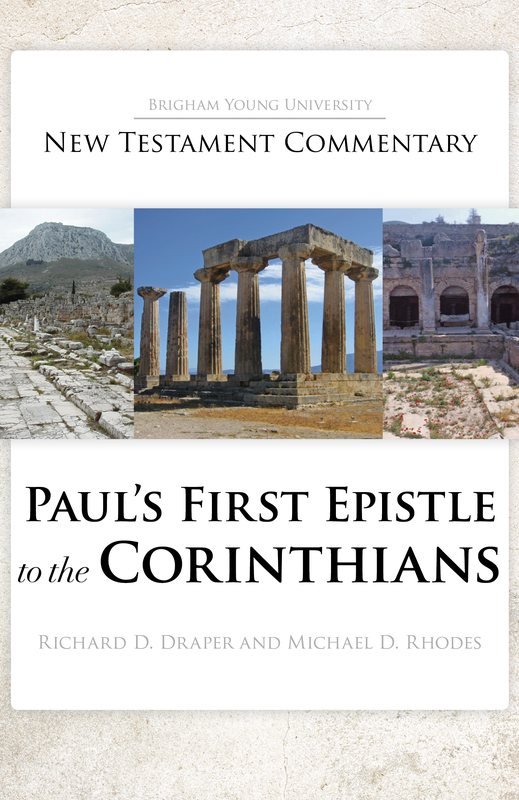 The hardcover print version of Paul’s First Epistle to the Corinthians is now available from our publisher, BYU Studies, at https://byustudies.byu.edu/content/pauls-first-epistle-corinthians. Ebook versions are available too. The book is xvii + 908 pages, with bibliography and notes. Click to see sample pages of the book discussion of 1 Corinthians 2, the table of contents, and the bibliography, scripture index, and general index. Questions? Call BYU Studies at 801-422-6691 or email byustudies.byu.edu. This entry was posted in 1 Corinthians, Michael D. Rhodes, Publications, Richard D. Draper on August 19, 2017 by Administrator. 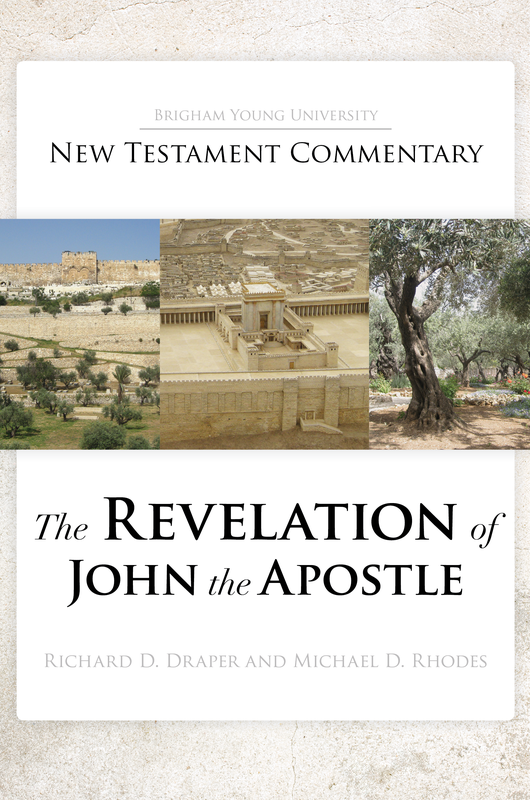 We are happy to announce that the hardcover print version of the book The Revelation of John the Apostle is now available for $29.99. It can be purchased through the BYU Studies website or by calling our office at 801-422-6691. The ebook is also available through the BYU Studies website in Kindle and Deseret Bookshelf app. If you have previously purchased the ebook, an update is now available through your vendor. The book is 900 pages of commentary that explains the text phrase by phrase, using LDS doctrine and both LDS and non-LDS scholarship, going back to the original Greek. See Sample pages and the Table of Contents. Others in this series are The Testimony of Luke by S. Kent Brown, which is available in print or ebook. 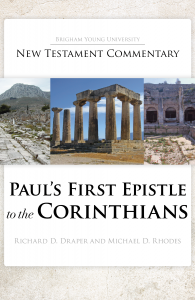 The volume Paul’s First Epistle to the Corinthians, by Richard Draper and Michael Rhodes, is available only in ebook at this time. This entry was posted in Michael D. Rhodes, Publications, Revelation, Richard D. Draper on September 30, 2016 by Administrator. 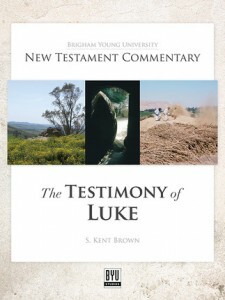 “The Testimony of Luke” by S. Kent Brown now available in print! 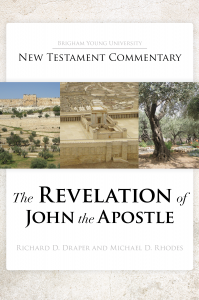 We are happy to announce that the first printed volume of the New Testament Commentary is now available. The Testimony of Luke, by S. Kent Brown, hard cover, is available for $29.95 plus shipping by ordering on the BYU Studies website. It will soon be available through LDS bookstores and Amazon. For more on this book, including sample pages, see this page. The book appeared as an ebook in 2014 and is available here. Several posts on this website by Dr. Brown are excerpted from this book; find them by searching “S. Kent Brown.” Dr. Brown’s love for and knowledge of the scriptures shines through every one of the 1,200 pages. Other volumes of the NTC series are in progress. This entry was posted in Luke, Publications on June 24, 2015 by Administrator.